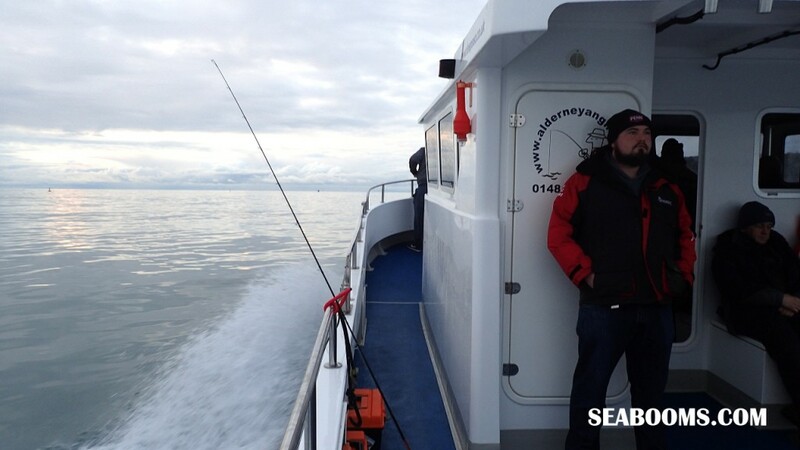 Sunday the 17th January saw the first wrecking trip of 2016 on board Wild Frontier II out of Weymouth skippered by Clem Carter and supported by very experienced angler and deckhand Richard both who I have fished with many times before. The boat itself is a wide beam Cat with loads of room and as there were ten of us space wasn’t an issue and neither was the menace of tangles, infact I only had two all day. Weather window after so many cancelled trips was first class with little to no winds and possible sunny periods an ideal forecast and tide for a wrecking session. 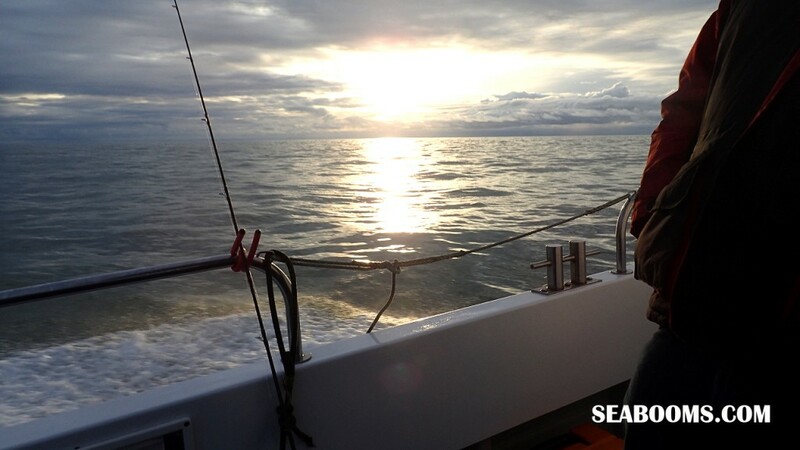 Sea state was flat almost millpond and oily so the steam time to the first wreck would be as fast as the boat could manage and not battling heavy seas took approx. 2hrs and we were fishing. Always plenty of tea on Wild Frontier you do get well looked after which is a big plus on such a chilly day only just a tad above freezing. 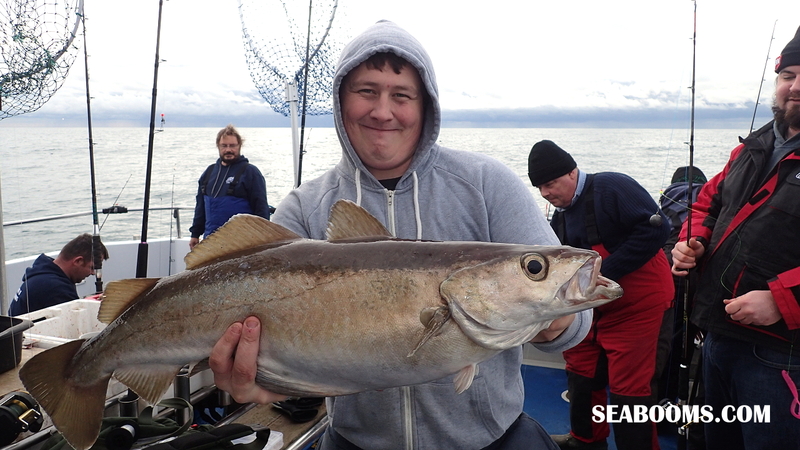 I was using the day as a sea trial period more than catching fish for the freezer and obviously always looking for a new PB as my current Pollock weight is just over 19.5lbs taken out of Poole drifting the rips in 2012. First off will be testing new clothing and boots especially. 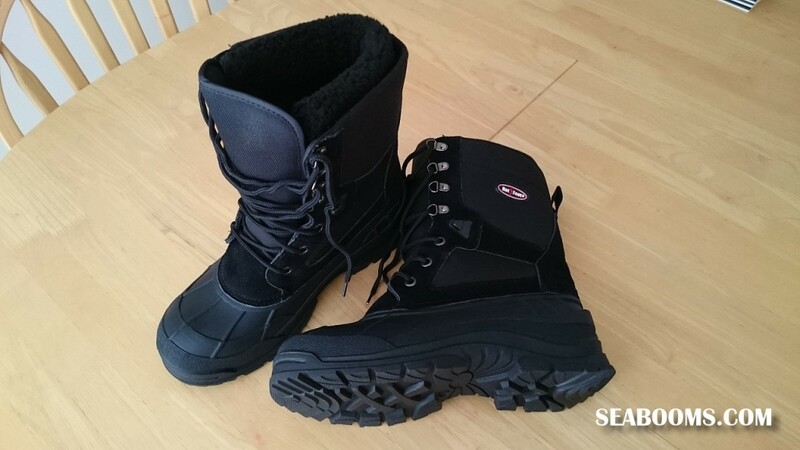 I’m off to fish in Norway in March 2016 so need really warm and comfortable kit, I selected a pair of Sunridge HotFoot lined boots to trial and have to say they worked really well with a pair of thermal light socks under my feet stayed warm and comfortable all day. I usually get aching feet about mid afternoon but these boots were very comfortable and as I had already been wearing them for a few days around my workshops they had been partially broken in. 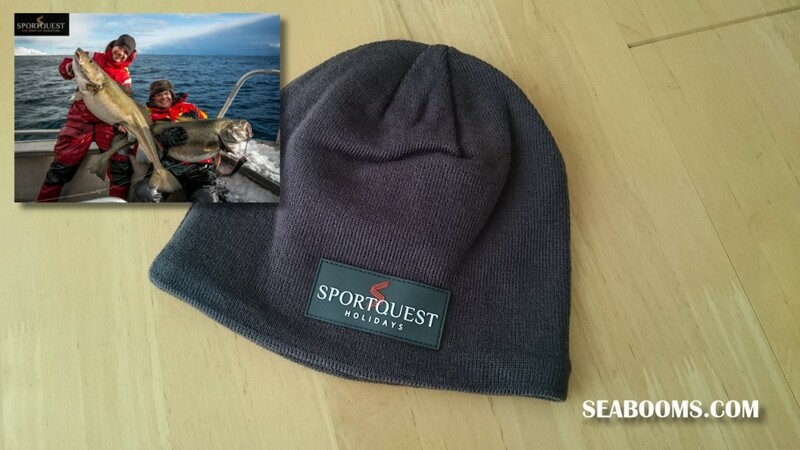 So boots are good and I had been sent a beanie from good friends at Sportquest Holidays the guys who look after anglers on their Norway holidays and who trialed a whole batch of my lures taking some incredible fish with them last year, another report on those results coming up soon. 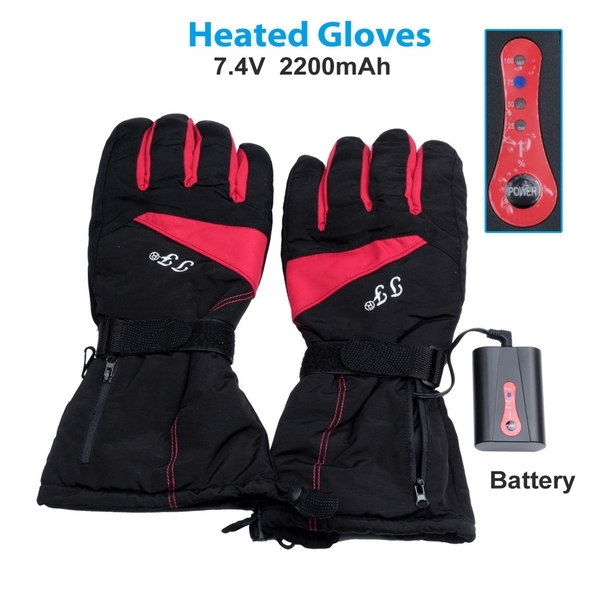 Gloves needed some thought as obviously you need to be able to tie rigs and keep hands warm and dry. I like the 3M’s Thinsulate materials and used a pair of their fingerless gloves under an old pair of ski gloves which worked in general and when rigging and knot tieing was needed it was only a case of slipping top gloves off and keeping the fingerless on and still have finger freedom. So that combo is good and new top gloves are on the way to sort keeping the pinkies warm and dry. Thermals two piece were worn too and as these had already been used out skiing in Norway I knew they would work and kept the whole body comfortable. 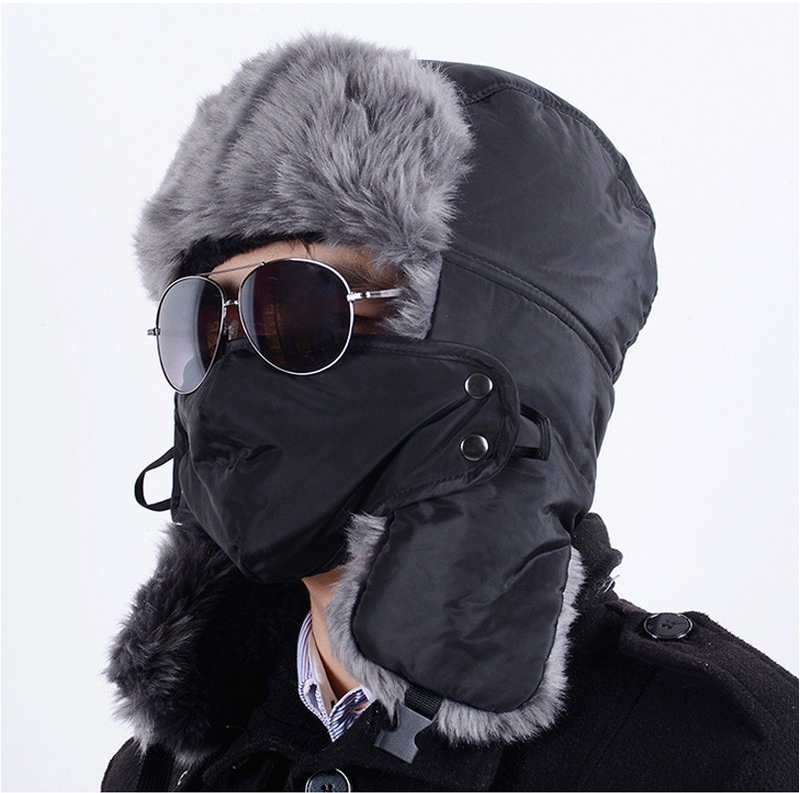 Top clothing was jogging bottoms and sweat shirt and as the camp at Norway Skjervoy are supplying the flotation suits that will complete the outift. 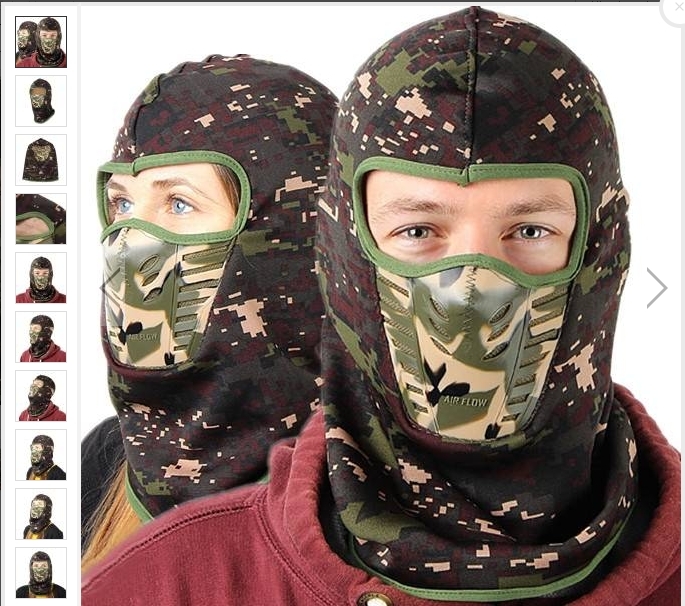 There are other items like warm trapper hats with mask and thermal balaclava’s but I’m waiting for them to arrive. 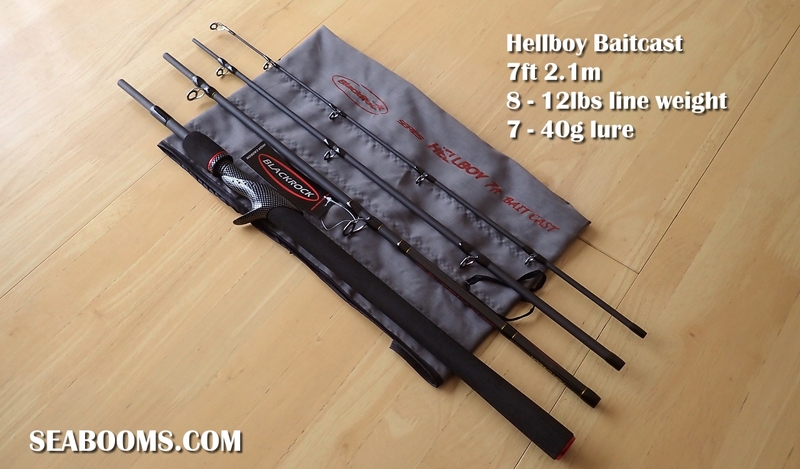 Now to fishing kit, as this year I plan to fish as light as possible for most of my trips I had a new Blackrock Hellboy 4 piece 7ft travel rod to try out. Supplied by Fishzone the people I use for most of my rods and reels this was a good opportunity to see how the rod performed and if it was suitable to put in my case for use in Norway. Setup and rigged with a small Okuma baitcaster reel loaded with Japanese cheapo small diameter braid 15lbs B.S. I love testing cheap gear and yes it may fail at the wrong time but that’s the buzz of using it as if it doesn’t and you land a good fish it’s a Result, just my own head thingy ! I had a load of new lures and jigs to try using this rig so first off I went for an 80g slinky jig setup with twin 6/0 circle assist hooks to see if I could get down to the wrecks and keep the line angle to a minimum in the drift conditions. All worked well to start with as we had little to no tide and no wind either so light gear like this worked well. 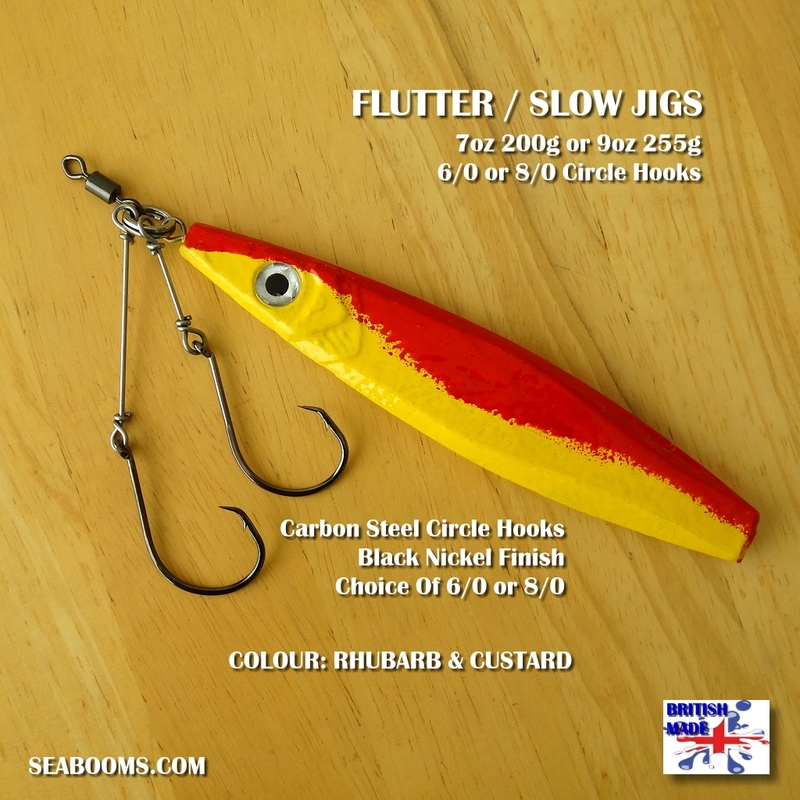 I use the jig in the flutter mode big jig up and then drop the rod tip quickly so the jig fluttered down nicely and at each jig I wound up half a turn so I was covering the drift from bottom to up to 25 turns above the wreck. This weight worked ok until tide started to pickup and I changed to a 190g Rhubarb and Custard flutter jig and that fished well in the faster tide so various sizes will be needed to cover a wide spctrum of wind and tide conditions. Couple of takes on the jigs and one small Pollock taken but it was foul hooked so doesn’t count in my book but it felt good on the Hellboy rod. 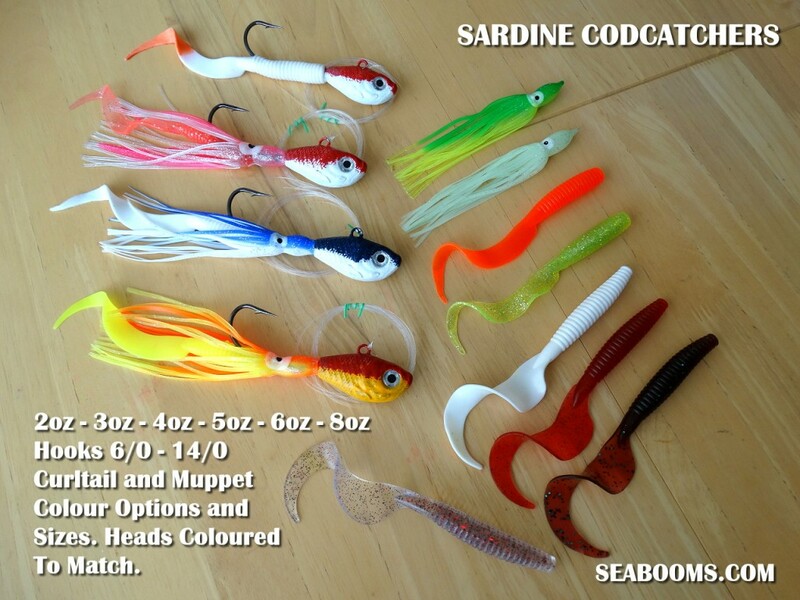 I also brought along a couple of new Sardine head Codcatchers as you can see large weighted heads with 9/0 Sakuma Hooks and sporting a range of muppet bodies and large curltails in various colours. Obviously no plans for tempting Cod as it’s a bit early for those on the wrecks I just wanted to see how they fished. Started with a 160g lure still fished on the Hellboy rod and 15lb braid with a 40lb leader and lure tied direct to that. I don’t use any clips such as the open Gemini types or snap swivels simply for the reason they can fail and trap other anglers lines into the clip. Plus why tie a clip on when you can tie the lure just as quick ??? 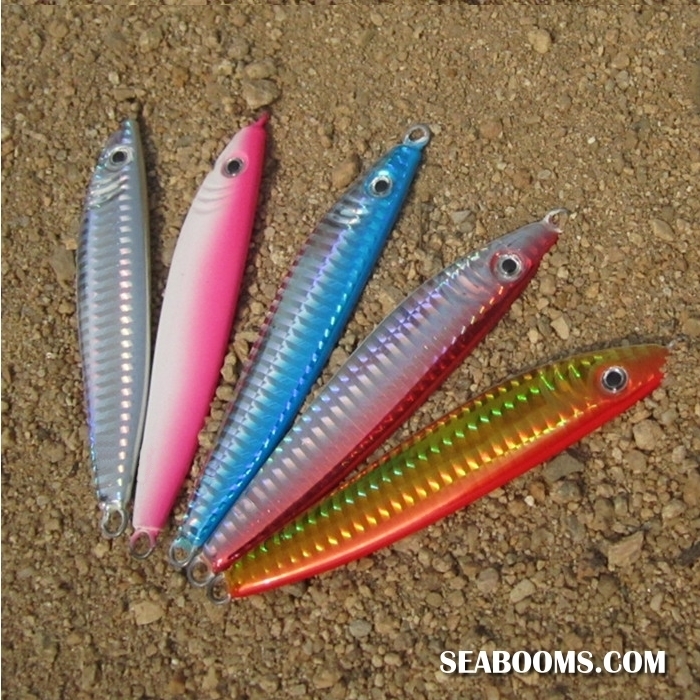 I tried the 160g and also next size up 225g and they worked fine so these will be a deffo for my lures going to Norway for the Cod and Coalies and may even tempt a Halibut now that would be interesting on light gear. Next rig was a Portland one fished with one of my 15cm Turbo Eels in an olive / ice colour combo and sporting a 20g head with 6/0 hook and that tempted a nice Pollock around 6lbs but felt a lot bigger on the Hellboy rod rig. Skipper Clem moved the boat to other wrecks during the day in search of bigger fish and although we had plenty of Pollock there were only a couple of larger fish taken IRO 10lbs+ but it’s still early for the wrecks to fill up with larger Pollock. 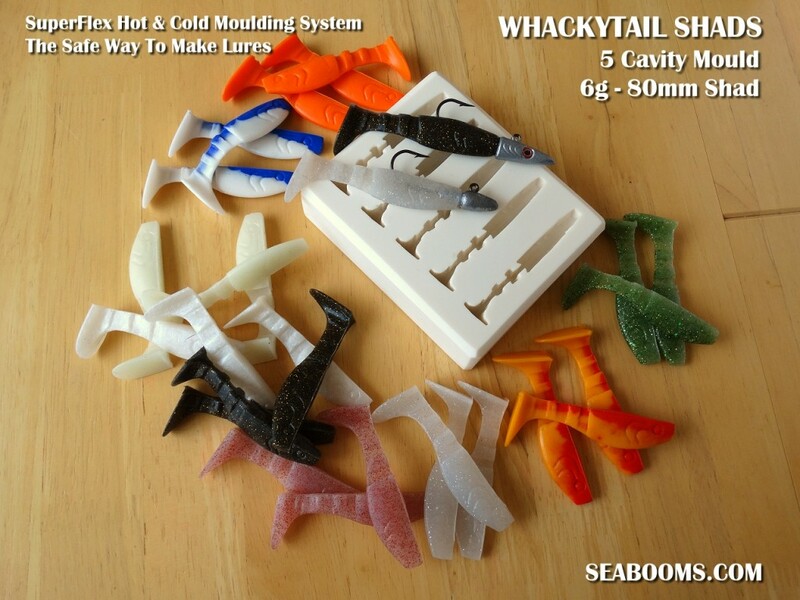 During the day apart from rigs already discussed I also tested a new smaller lure I’m making and have called Whackytails as the name implies the tails are ultra active and really do thump away. Had plenty of attention from large Pouting so I know they work just got to get past them or away to give the Pollock a chance. 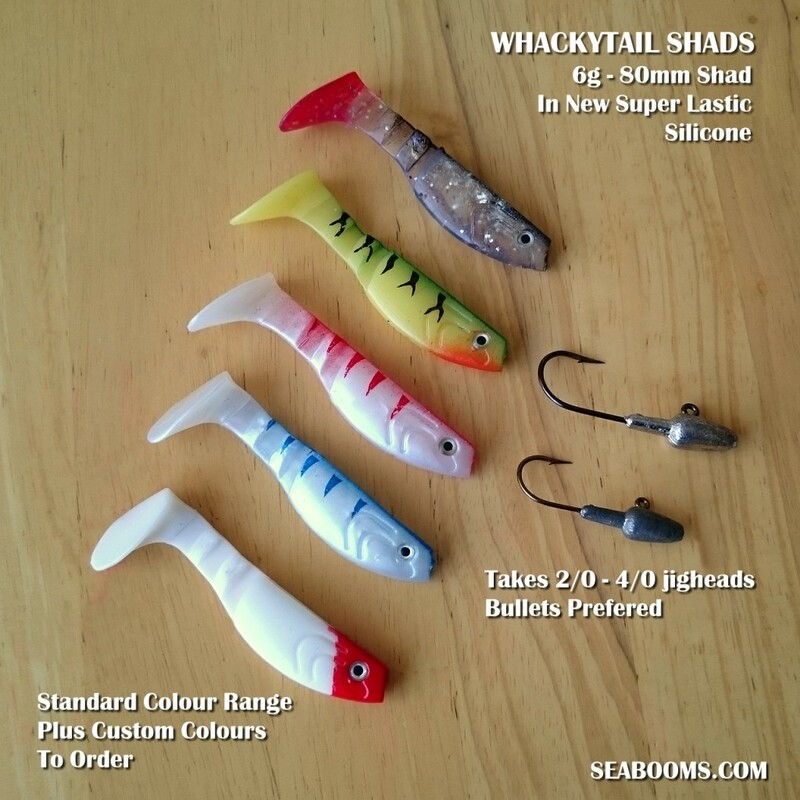 Reason I came up with this lure the smaller shads absolutely hammered the Cod last summer so wanted one with as much tail action and vibes as possible. These will be available in three sizes so more on those when ready. 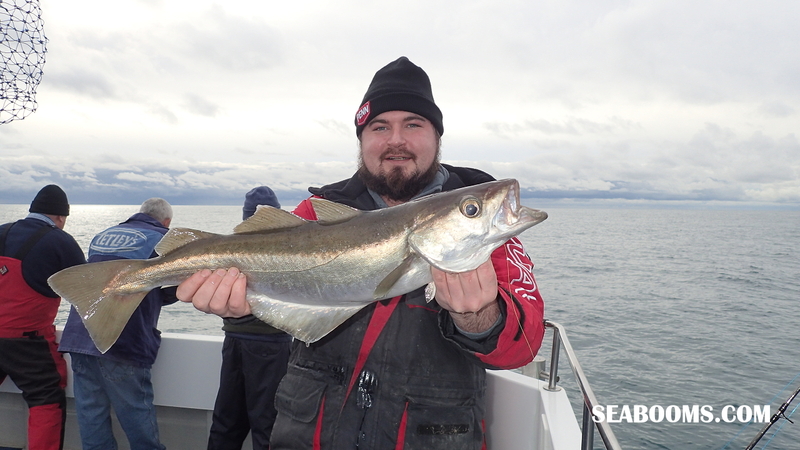 Overall it was a good trip for the first one of 2016 and there were plenty of fish in the trays. What I like about Wild Frontier which is a big PLUS as far as I’m concerned is Skipper Clem and Richard prep your catches ready to take home all bagged up for you. So you can place your order to have the fish filleted or prepped how you want them and Clems filleting skills are second to none withRichard washing and bagging the catches what more can you ask for !! Weather turned early afternoon and winds got up as predicted so sea state got sloppy but with enough fish for all to take home we head back to Port. So for me I achieved a lot in testing loads of gear and lures ready for Norway and with more new kit planned the next wrecking trip is already scheduled so more to come in future reports. Not many fishy pics taken as I said most fish were keepers but small and these were in the larger bracket but the images show how they day worked and what gear was trialed. 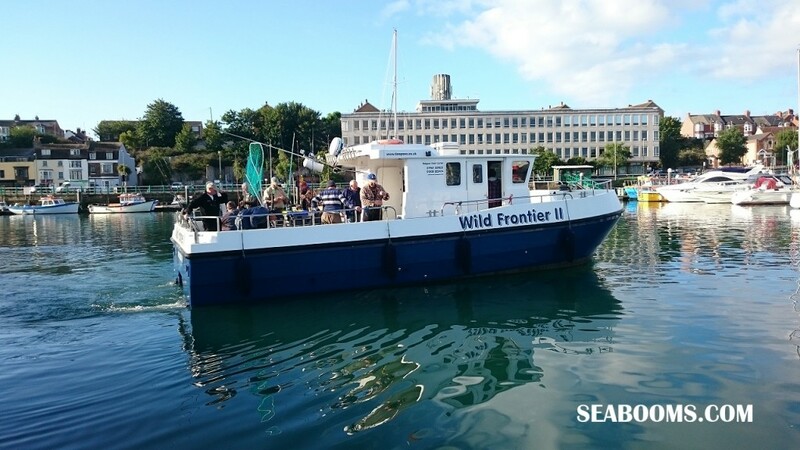 I highly recommend Wild Frontier II and you can contact and book a trip or charter with Skipper Clem here: http://www.deepsea.co.uk/england/south-west/weymouth/wild-frontier/ you can also see some of the great fishing Weymouth offers and his up to date diary of available spaces. 2 Responses to "Wreck Fishing off Weymouth 2016 with boat angler Allan Yates"